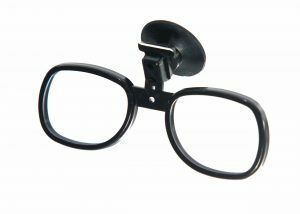 Nylon eyeglass frame compatible with most SCBA Full Facepiece respirators equipped with a single facepiece lens. 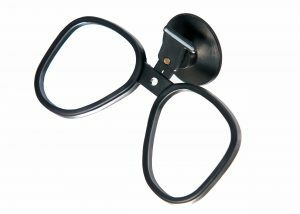 Can use any power eyeglass prescription: single or bifocal vision or reader lenses (magnifiers). Uses a suction cup to securely attach to the inner surface of the respirator facepiece lens. Easy insertion and removal from respirator mask. Are used in a wide range of occupations and industries – emergency response (firefighters), chemical, mining, energy (oil and gas industries), agriculture, academia, and military. 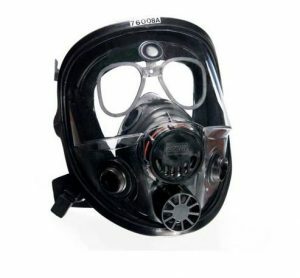 Click here for examples of compatible respirators. Optical lenses can be purchased through this website or your local optician. Click here for optical lenses at significant cost savings.